(Content Marketing Institute) Digital marketing, particularly social media, has led to an obsession with meaningless numbers. Followers, “likes”, and connections may give some indication of the size of your potential audience. But those numbers say nothing about whether your audience is really following your lead, liking what you have to say, or connecting with your message. 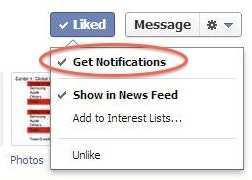 (Inside Facebook) Facebook is rolling out a new feature for users to opt in to receive notifications every time a page makes a post. This seems to be a solution for fans who don’t want to miss any page posts that might not make it into their News Feed because of Facebook’s algorithms. 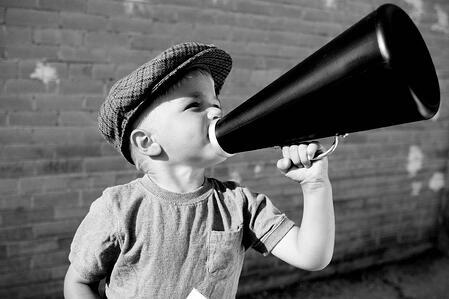 For example, some users might want to be aware of all posts from a news publication, an artist they really like or a small business that doesn’t post very often. The feature is similar to the “close friends” option, which alerts users each time a new update or photo is shared by someone on the list. 3. How Frequently Should a Brand Tweet? (Social Media Today) In this study we follow the activity of major brands on Twitter to determine the effect of increasing Tweet frequency on response levels via Retweets. A recent Track Social Facebook study suggested that increasing Posting levels did not necessarily have a detrimental effect up to a point. We wanted to study the same effect on Twitter. We start by looking at Retweets per Tweet, as increasing numbers of Tweets are made per day. For each Tweet Frequency we looked at the percentage of the Retweets per Tweet compared to when a brand only tweets once in a day. 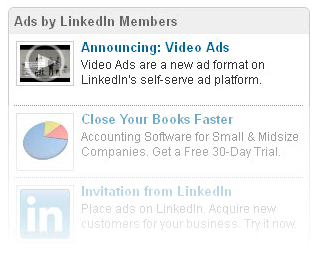 (LinkedIn) Video ads are currently available through the LinkedIn Ads self-serve interface, our targeted advertising platform that lets large and small advertisers place text and image ads across the LinkedIn site. With LinkedIn Ads you can control your costs, pay per view or click, and stop your campaign at any time. LinkedIn self-serve video ads work seamlessly with YouTube so you can instantly leverage your brand’s existing YouTube presence and promote same videos on LinkedIn. You’ll still be able to grow and capture the same YouTube stats you’re used to. (Search Engine Watch) The SEO landscape has changed significantly over the last year. Google makes roughly 500 changes per year to its algorithm, requiring agile companies to change direction and strategy in real time. In spite of the subsequent uncertainty and change, there are principles that remain at the core of every successful SEO campaign. Keyword research is one core component embraced by companies that achieve sustained revenue and customer acquisition through organic search. While the principle itself is as old as Google, a new definition of success is emerging.